Wendy's Delights: *GIVEAWAY* 2 Nail Art Packs - Open Internationally! 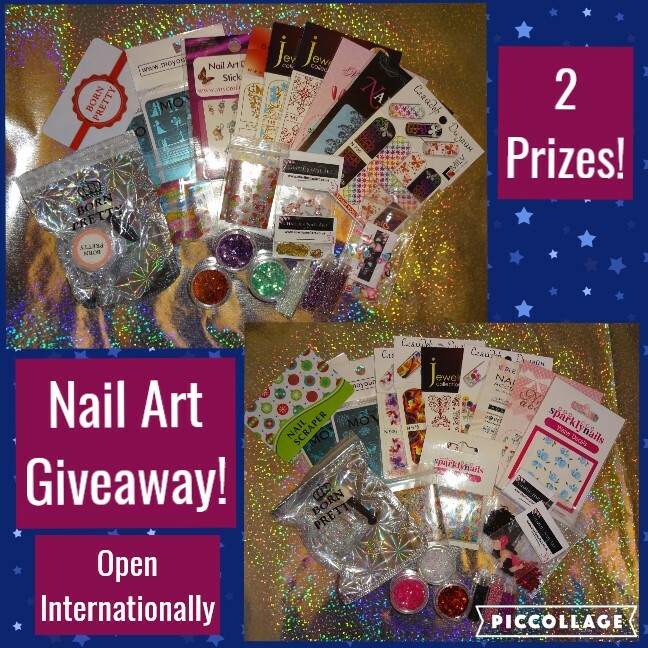 *GIVEAWAY* 2 Nail Art Packs - Open Internationally! I'm holding a Givaway for 2 Nail Art Packs which include stamping plates, scraper, water decals, glitter, foils and more! For your chance to win please fill out the Rafflecopter below - Good Luck!